System requirements seems to be very reasonable, minimum required CPU is a just dual core and a rather old one. Similar story with required GPU, which is very old mainstream. Recommended specs are little bit more demanding, as a quad core and a newer GPU is needed, but again nothing anywhere close to the current high-end hardware. All the tests have been done on system with Core i7-2700k clocked to 4.5GHz, 32 GB RAM and HD 6870 with 1GB of VRAM, Killing Floor 2 version was 1003, Catalyst version 15.3 Beta. Testing was done in a 1650x1050 resolution, the game doesn't offer benchmark tool, so test run was me playing the first round in a solo mode on the Burning Paris map and killing all zombies which took about one minute. Each effect was tested three times and results were averaged to eliminate inconsistencies between each run. Graphics settings menu offers wide variety of effects and setting to tweak. Some of the effects require restarting the game, so set them before you enter an online match. These effects are: Environment Detail, FX, Realtime Reflections and Shadow Quality. Other effects can be adjusted on the fly with immediate effect, but I've restarted the game after each change for benchmarks just to be sure. Killing Floor 2 supports any resolution, some more exotic ones can be accessed by switching Aspect Ratio to Any. The game supports Borderless, Windowed and Fullscreen modes, and Variable Framerate can be turned on for high refresh rate displays. I've encountered slight problem when lowering resolutions, but restarting game fixed it. Field of View slider is hidden under Game Settings options menu. It doesn't say exact degree of field of view, there is percentage adjustment instead with 100% - 125% range. Killing Floor 2 apparently uses vertical implementation of field of view. This implementation works much better on a variety of aspect ratios, ultra wide monitors and AMD Eyefinity or Nvidia Surround setups. Bellow you can see two comparisons, upper one is the game's field of view on ordinary 16:10 aspect ratio screen, lower one is field of view behavior on ultra wide screen. Even when slider is set to 125% on both cases, ultra wide screen properly offers more visibility. Surprisingly there was no measurable impact on framerate. Full resolution screenshots: 16:10@100%, 16:10@125%, 21:9@100%, 21:9@125%. 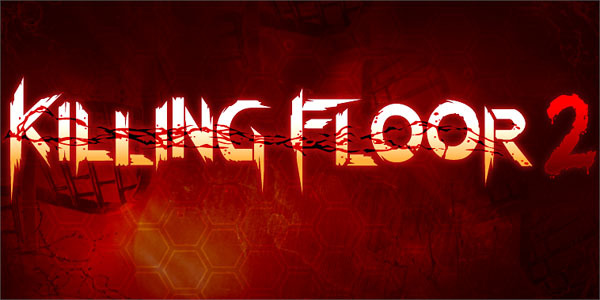 Killing Floor 2 offers four image quality presets - Low, Medium, High and Ultra. On the Low preset the game performed very well and the framerate rarely fell under 100 FPS. Switching to the Medium setting framerate dropped 30%, same drop was when the High setting was used. The Ultra preset offers the best image quality, but with severe framerate impact of 40% from High and more than 70% from Low setting. The game's performance scales very well with each preset. Performance also scales fairly well although not linearly. Doubling the resolution from 1280x800 to 2560x1600 results in 62% framerate drop. Image quality even on the Low settings is very good. Lighting is dynamic, some textures are blurry and there are only basic reflections. On the other hand, the Ultra setting have textures very sharp even on 1600p, environment has more objects and realtime reflections are also present and very apparent. Below are comparisons from three currently available maps. Full resolution screenshots: Paris Low, Paris Medium, Paris High, Paris Ultra; Outpost Low, Outpost Medium, Outpost High, Outpost Ultra; Lab Low, Lab Medium, Lab High, Lab Ultra. Controls settings menu in the Killing Floor 2 offers basic mouse sensitivity settings, there is no mouse acceleration or smoothing toggle, but I haven't felt any additional mouse processing and aiming seems to be very precise. Keyboard binding menu offers basic key binds, only one key per action can be set. There was an issue with Caps Lock key, the key was binded to the Voice Chat by default and cannot be binded to anything else unless Voice Chat action is binded to other key first. Controllers are also supported, but buttons cannot be reassigned. Killing Floor 2 Audio Options menu offers three volume sliders for Game, Music and Voice Chat volume. The game supports surround sound setups and positional audio worked flawlessly on my 7.1 system. The audio quality is exceptionally good, the everything sounds very authentic. Killing Floor 2 is probably taking distance of the sound source and applying some filters on it for added realism. I was very surprised how good the game sounds. In this section we are going to look at how each effect impacts framerate and how does each setting looks on screenshots. Be sure to check full resolution uncompressed PNGs linked in each section. There are full resolution screenshots linked in each section for better comparisons as the images in the sliders are compressed. Be sure to check our gallery for additional screenshots and graphs. Killing Floor 2 offers two ambient occlusion methods - SSAO and HBAO+. SSAO adds very subtle shadows to the corners and around some objects. HBAO+ is much more pronoun and these shadows are much more noticeable. Full resolution screenshots: AO Off, SSAO, HBAO+. Performance impact is around 10% for SSAO and almost 30% for HBAO+ from Off setting. As usual this is rather performance expensive effect, but not very noticeable with SSAO setting. This setting affects quality of textures and can be adjusted in four levels. On Low setting some textures are very blurry and lacks any detail (glove on the screenshot for example), but other textures are surprisingly sharp and detailed even on Low. Larger quality boost comes with the High setting and the textures are obviously the sharpest at Ultra setting. Full resolution screenshots: scene 1 Low, Medium, High, Ultra; scene 2 Low, Medium, High, Ultra. Performance impact depends highly on amount of VRAM available, average framerate drop is only around 5% for each additional level. But heavy stuttering started to appear with High setting on my 1GB card. Killing Floor 2 offers four levels of Shadow Quality settings. Each level increases resolution and view distance of the shadows. At Low setting some of the shadows are barely visible and the rest is very blurry. With each additional settings level, shadows are much nicer, sharper and farther visible. Full resolution screenshots: Low, Medium, High, Ultra. As usual, shadows have substantial impact on the performance. Medium setting causes around 7% framerate drop, High setting costs 16% and the most expensive Ultra setting costs 20% of performance. This settings affects how many objects are in the game world. These objects have no impact on the gameplay, usually they are there just for decoration (chairs, garbage..). Full resolution screenshots: Low, Medium, High, Ultra. Performance impact wasn't measurable, This is probably due to the fast CPU in the test rig. I'd imagine this setting will have much more pronoun impact on dual cores and CPU with weak single core performance. Character Detail setting affects model's level of detail. Polygon count is higher with each setting level, but it is not very noticeable directly in the game. Full resolution screenshots: Low, High, Ultra. Performance impact of Character Detail was only 5% for High setting and 8% for Ultra setting. Texture filtering offers few filtering methods, unfortunately I haven't noticed any difference. There should be massive reduction of blurring on a distant textures, but the textures looks exactly the same. Performance impact is negligible for all but Anisotropic 16x setting where it is 13%. Full resolution screenshots: Bilinear, Trilinear, Anisotropic 4x, Anisotropic 16x. Depth of field setting offers only Off and On options. If turned On, DoF just blurs the gun when aiming down the sights. I'd like to see more of the blurring dependant on distance from player, but otherwise I much prefer this implementation. Some games have DoF forced on everything that is little bit farther from the camera just to hide horrible low resolution models or billboards however Killing Floor 2 is using DoF correctly. Performance impact is around 7%. Full resolution screenshots: Off, SAT DOF. Killing Floor 2 offers only FXAA as its anti-aliasing method. This is only post processing filter and not a proper anti aliasing method. Fortunately KF2 implementation is done fairly well and jaggies are moderately blurred without impacting sharpens of the textures. Performance impact is around 9%. Full resolution screenshots: Off, FXAA. Realtime reflections adds reflections on some surfaces. This effects is very performance expensive, but it is well worth it as the game's world becomes much more realistic. This is the most demanding effect in the game, turning reflections On results in more than 40% framerate drop. Full resolution screenshots: scene 1 Off, On; scene 2 Off, On. Rest of the effects have negligible performance impact and I haven't noticed any visual difference. PC version of Killing Floor 2 is very well done. The option menus are offering many setting to play with, controls are spot on and the sounds are awesome. Optimization is also very good as the game scales nicely and performs well. For a game, that is just entering Early Access, this is very polished product. Developers are actively pushing updates (I've downloaded two large updates just last week) and if first Killing Floor taught us anything, devs are not going to abandon Killing Floor 2 anytime soon. Been playing this with an AMD FX 6300 6Core and a 750ti and the only thing I had to turn off was the realtime reflections and it performs really well. I also think this has to do with the fact that the game is actually using UE3 (Seriously an old engine) and not UE4. It also shows just how good the 750ti actually is. Can you update this report as the game has been officially released?